My friend Elyse Ribbons who runs the Cheeky Monkey productions knows Zhao Yan Yan who was a gold medal Chinese acrobat. Her father was one of China’s bike acrobats. Yan Yan now runs a company producing shows with Chinese artists for the USA market. 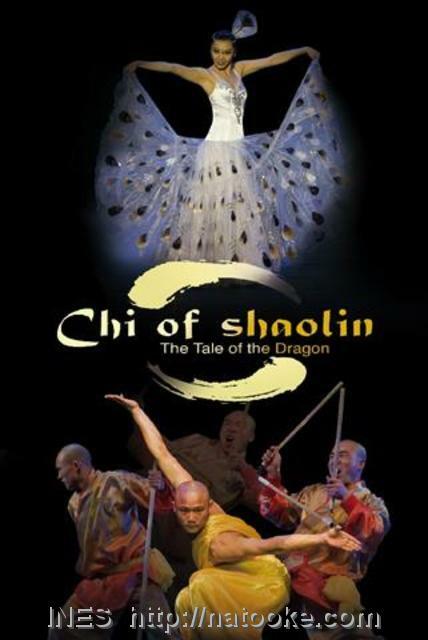 The newest show is called „The Chi of Shaolin – The Tale of a Dragon“ which she is producing together with Guy Caron who was the Director of Creation for Cirque Du Soleil’s productions of KA and Dralion. Elyse was invited to a special rehearsal performance for Guy Caron who had just flown in to see the progress of the rehearsals. As Elyse and I are foreigners we were picked up by a car with tainted windows and brought to the rehearsal theater. We were about 20 people there to watch and we had chairs on the stage just 1 meter away from all the action. 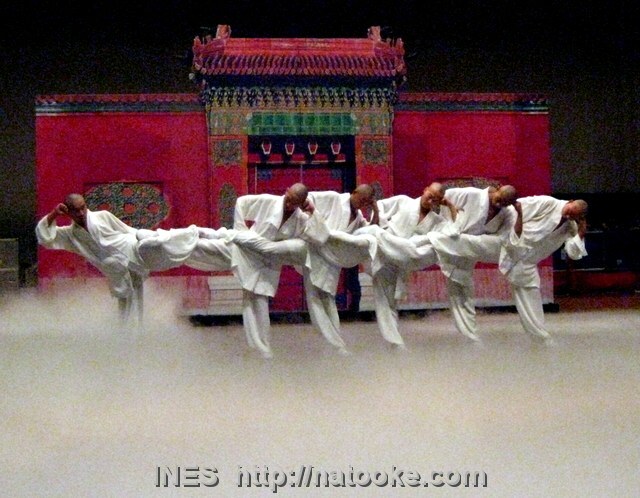 The men were all trained in Shaolin temples with amazing kungfu abilities. The girls are from circus schools with the traditional acrobatic skills. For example the juggling with the feet or the traditional synchronized diabolo routine. 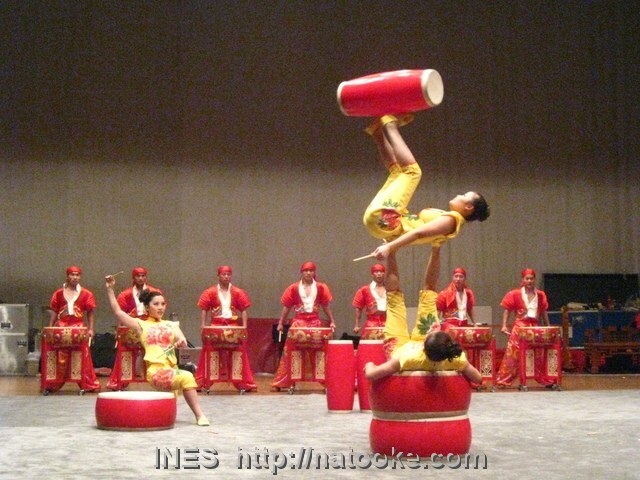 I liked the foot juggling and spinning of cloth with the costumes and colors. The group of 8 Shaolin guys and 5 acrobat girls have 1 more week of rehearsals before they head out to Reno Nevada USA for shows. I wish them good luck! Here is a picture of them with Yan Yan and Guy. 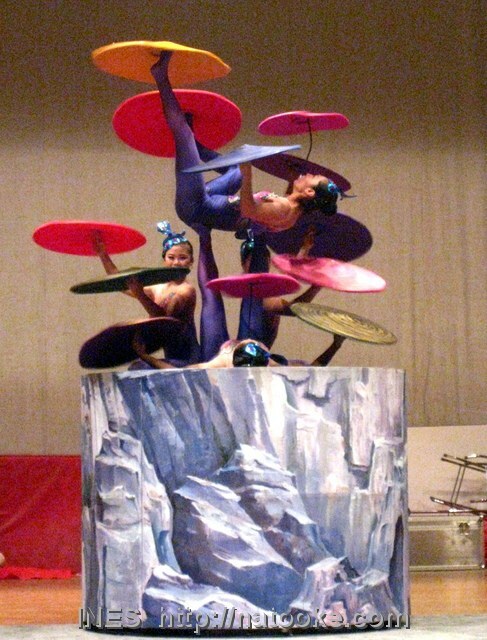 This entry was posted on Sonntag, November 14th, 2010 at 17:07 and is filed under Beijing, China, Juggling, Performers. You can follow any responses to this entry through the RSS 2.0 feed. Both comments and pings are currently closed.